So this page is a bit of fun, it is not meant to be a wiki one-stop-shop. 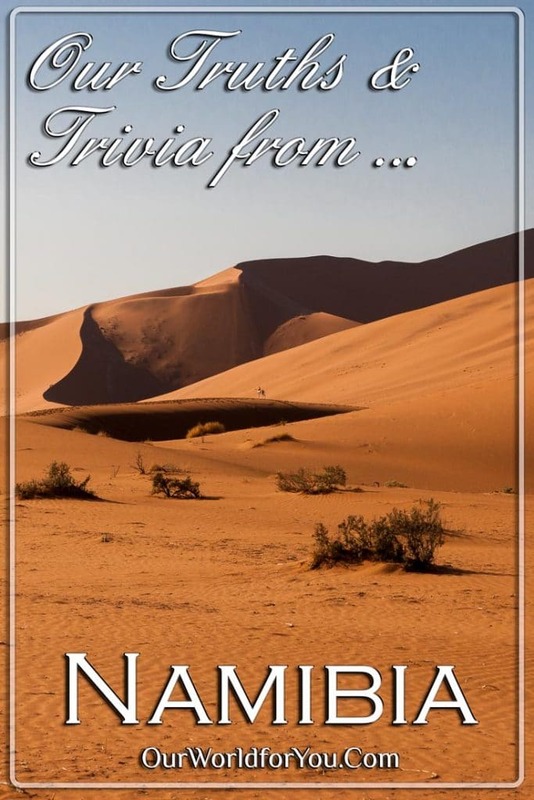 It has some of the interesting stuff about Namibia, and then a bit of the trivial stuff, including our take on the place. 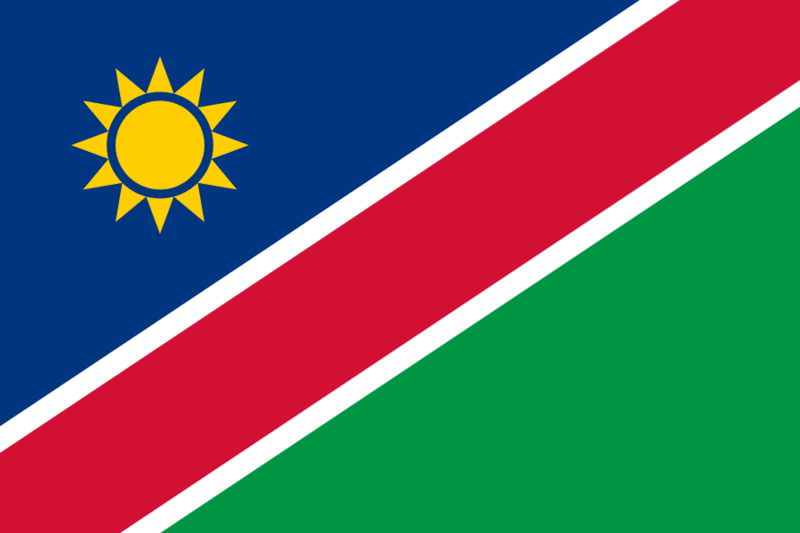 Namibia is a wonderful location to bring out your inner adventurer. If you love a road trip and seeking out wildlife, it doesn’t get much better than this. 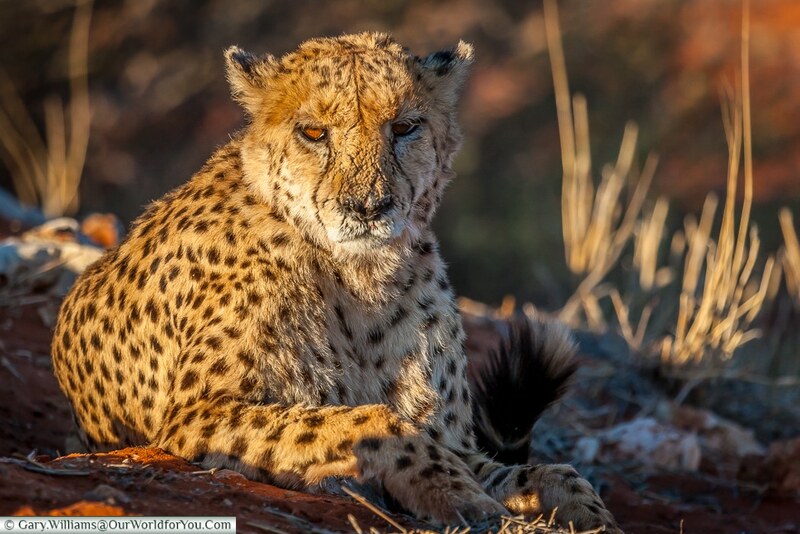 With the sweeping red sand dunes in the Namib desert, the harsh Atlantic coast line of the Skeleton Coast and then the abundance of wildlife that can be found in the north of the country. Who could want more? The official language is English, although Afrikaans and German is widely spoken. So what’s this Trivia then? 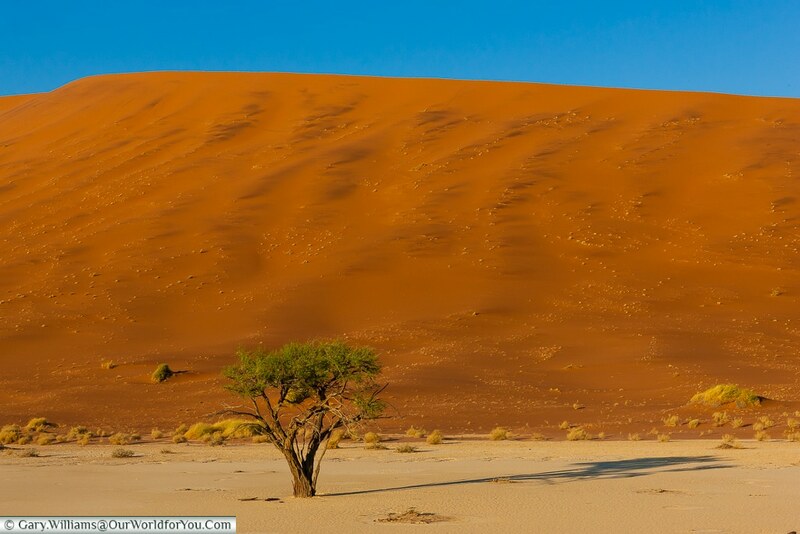 The Namib Desert which runs along the Atlantic coast in Namibia, is considered to be the oldest desert in the world. 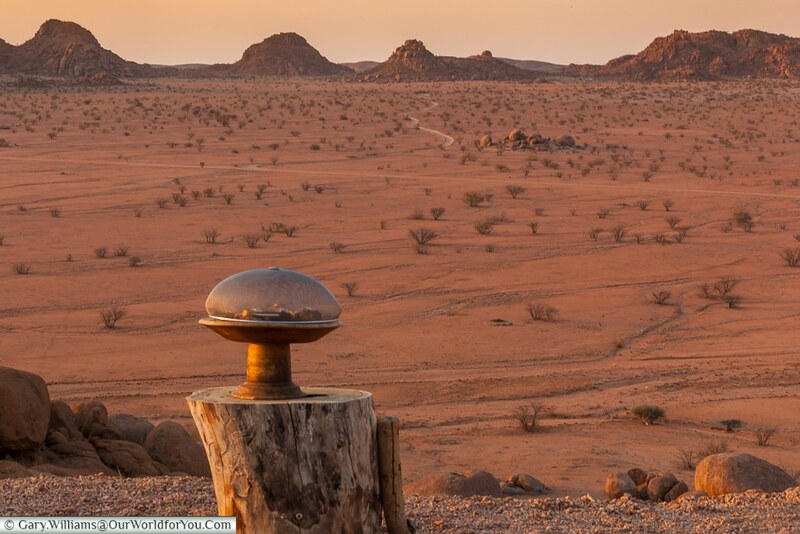 Namib-Naukluft National Park is the largest game reserve in Africa. It is Illegal to venture onto the sands of the protected diamond area of “Sperrgebiet’, just outside Lüderitz. They take their diamonds very seriously you could face a heavy fine or imprisonment. The threatened Mountain Zebra, found only in Namibia, south-western Angola and South Africa are typically different from the plains Zebra, as its stripes do not loop around its belly, there is a distinctive gap. Also, they are often browner in colour. 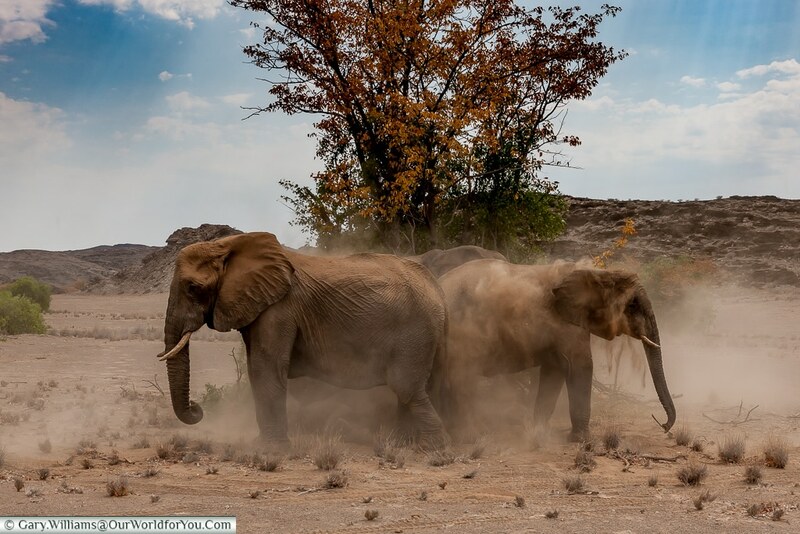 The elusive Desert Elephants that frequent the Kunene region, can only be found in this part of Namibia and Mali in north Africa. The indigenous Himba people are considered the last semi-nomadic people in Namibia. BBQ – only African style. We know there’s no guarantees of what you will see – but we were lucky enough to spot the following – what will you see? 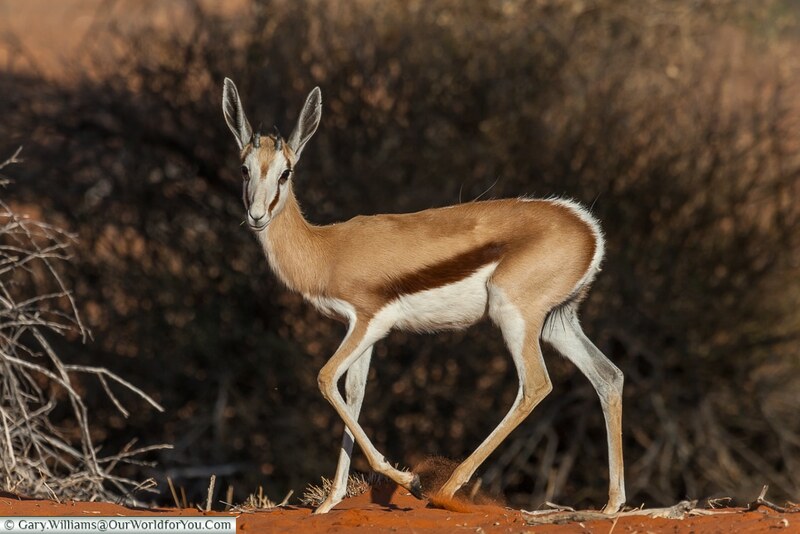 Desert & Bush Elephants, Lions, Mountain Zebra, Rhino, Cheetah, Giraffe, Antelopes & Buffalo. 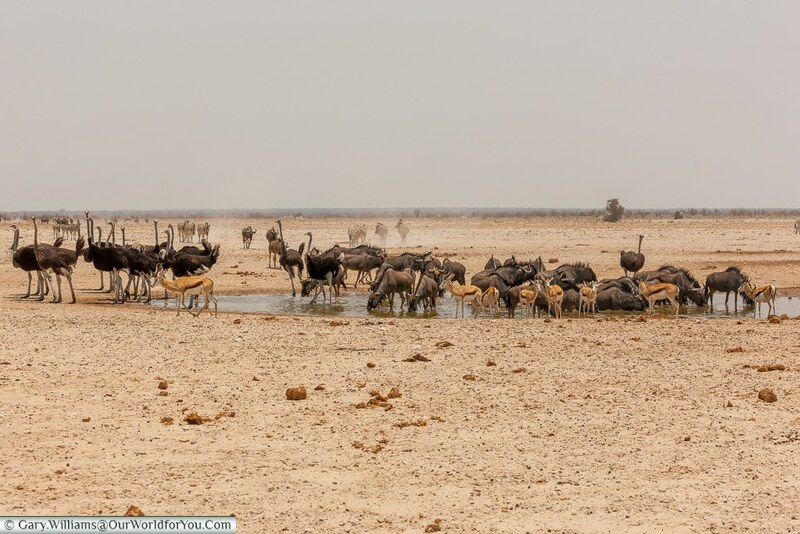 Flamingos, Pelicans, Ostrich, Vultures, Kestrels & Bustards. Chameleon, Skink, desert lizard, gecko, turtles & sidewinder snake. Welwitschia Mirabilis (lives to upto 2,000 years), Acacia trees of deadvlei, Baobab tree, Quiver Tree, Nara Plant, Palm trees & Dollar bushes. 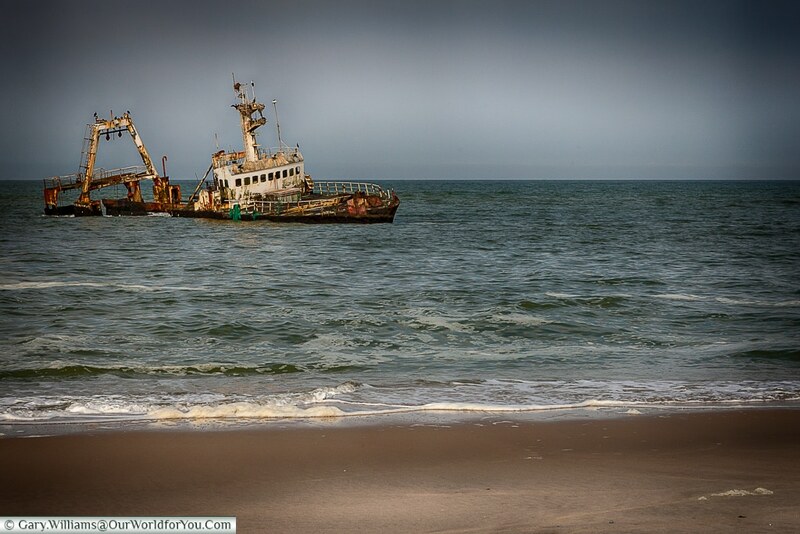 Search out the Shipwrecks along the unforgiving Skeleton Coast. 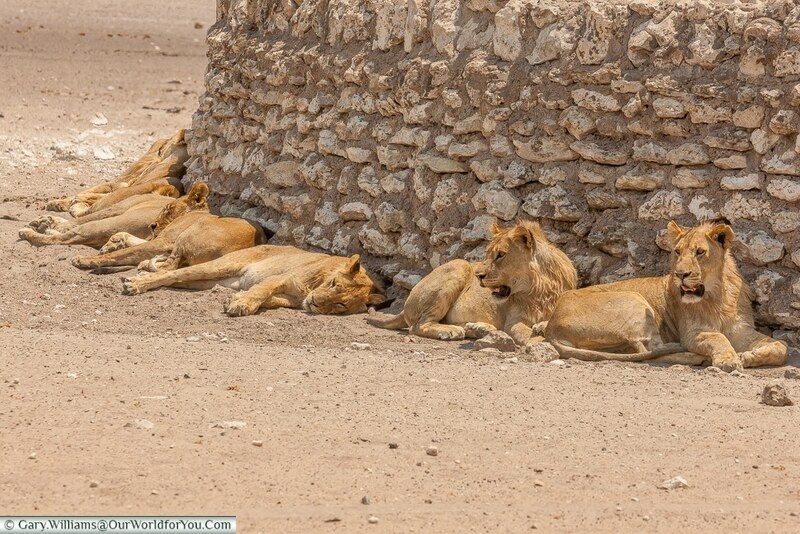 Drive amongst the watering holes in Etosha National Park, to catch sight of a pride of lions. 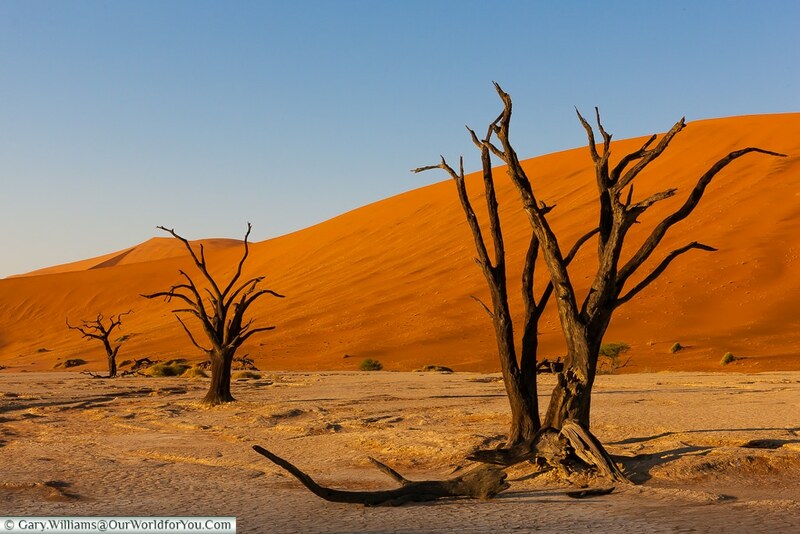 Walk amongst the trees in Deadvlei, which died over 600 years ago. 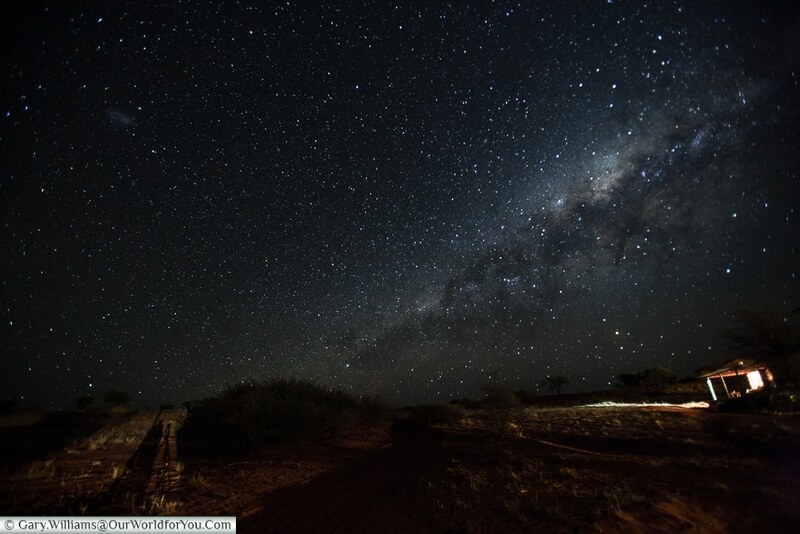 Be sure to keep looking up of an evening, the night skies are amazing for Stargazing. Take a ride in the back of a safari truck, day or night, you won’t regret it. 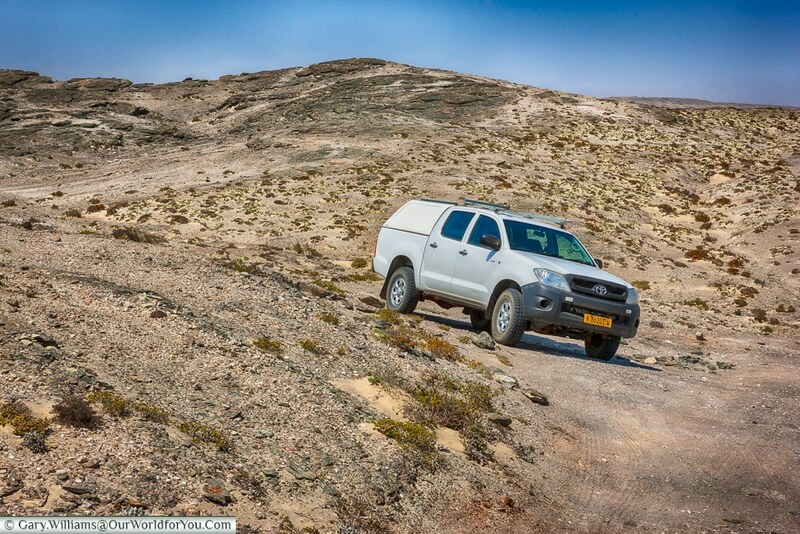 Whilst in Swakopmund embark on the informative, Little 5 Living Desert tour. 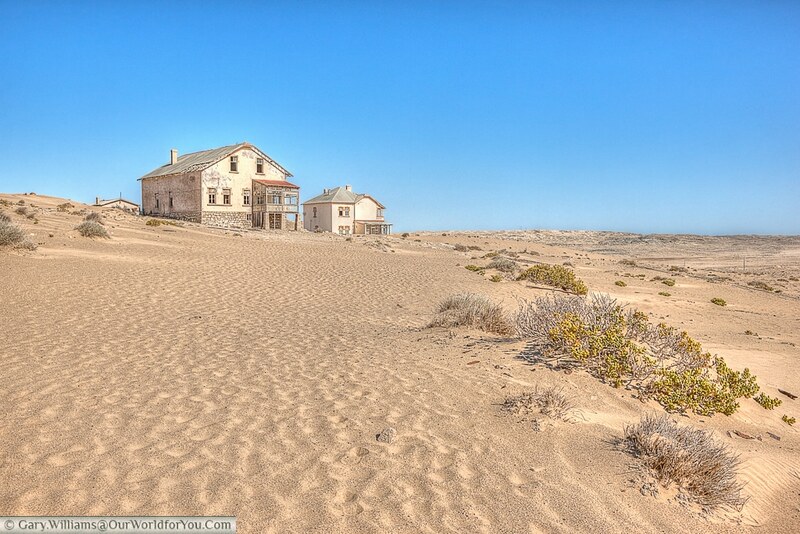 Wander through the mining town of Kolmanskop swallowed up by the Namib Desert. 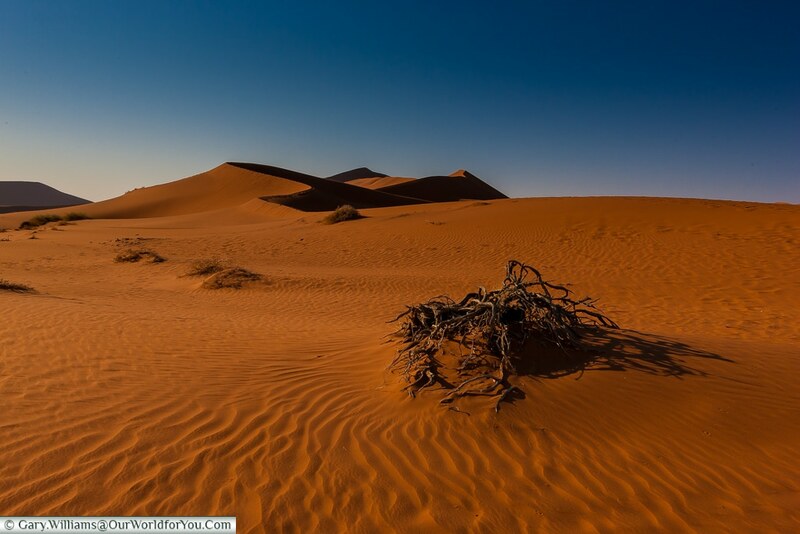 Visit the Namib and Kalahari deserts for an unforgettable experience. 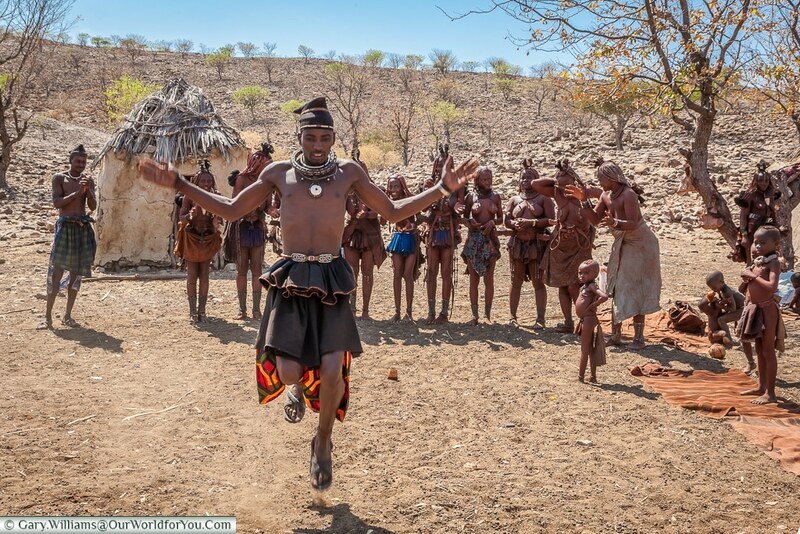 If you get the opportunity visit the Himba People with their ochre coloured painted skin. Overlook Horseshoe Bend at Fish River Canyon, Africa’s largest canyon. Max Rockatansky returns, this time to the ‘wastelands’ of the Namib Desert – and it’s east to see why. Tom Cruise stars in this movie about the discover of an ancient princess. The Mongolian desert is swapped for the Namibi desert in this remake of the 1965 classic. This Sci-fi thriller featuring J. Lo picks some key locations in Namibia. If you enjoy wildlife documentaries then David Attenborough and the BBC documentaries “Life”, “Life on Earth”, “The Living Planet” & most recently “Planet Earth II” feature this amazing landscape. The Amazon Grand Tour -featuring the trio from Top Gear featured a 2 part special in Namibia. 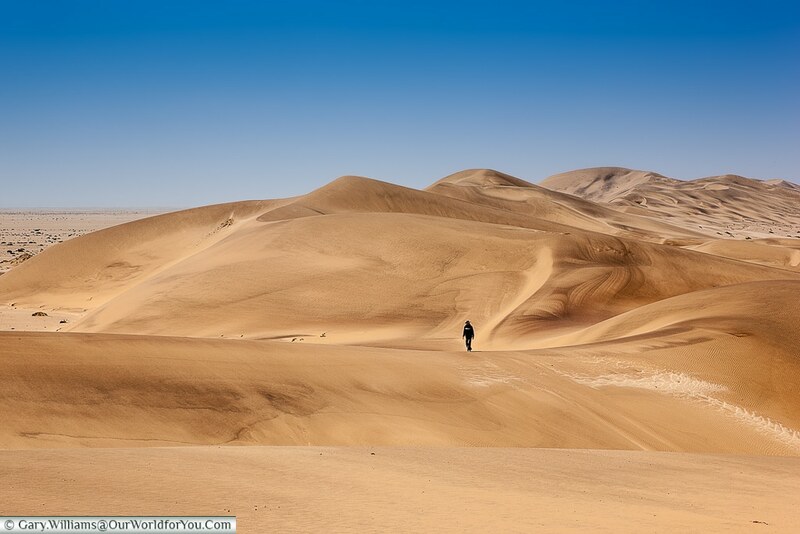 Start creating your own adventure, and discover the amazing scenery & African wildlife of Namibia for yourself. We chose British Airways, and it was all done with a few clicks, a brief stopover in Johannesburg, and our luggage was there for our arrival in Windhoek. And your thoughts on the place? or What are the chances of us revisiting? We’d love to head back one day, probably visit the Caprivi strip in the north of Namibia. Gary will want to find the ghost ships of the Skeleton coast. Our value for money index. Don’t forget we’re Londoners, and that means our baseline is quite high. Prices generally not too bad, but a lot of the tourist activity is priced for the market, rather than actual cost. We found it cheaper in the south, but not so much wildlife. What’s it like driving in the country. Which side of the road do they drive on? They drive on the right. Over to Gary: “I loved it. In towns the driving standard were good, on the open roads fun, and on the dirt trails (That made up for about 70% of the mileage) is was fabulous – just remember to open the vent in the pick-up! Also keep an eye on your fuel level and It’s possible you may get a puncture. 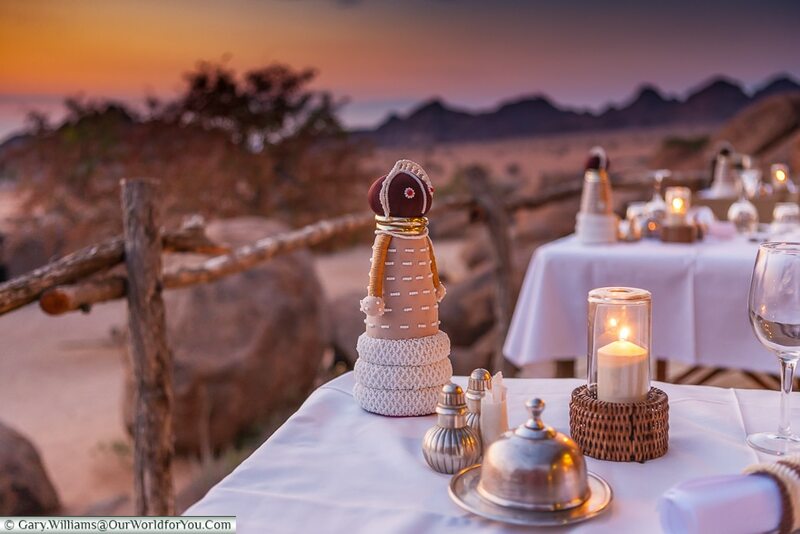 So many to choose from; watching the Desert Elephants & the sunrise over Sossusvlei. Unable to fly direct from London, so it is quite a long round trip. Coming face-to-face with Lions at Etosha and of course Sossusvlei. The organised trips were all great, lovely people and the magical night sky. Probably the journey, but the free upgrade from BA on the return leg from Jo’burg to London meant it ended well. Tempted to plan your self-drive safari? There’s plenty to experience that will leave you with a lifetime of memories.